Select Satin lacquer throughout, 9118 chalk white Satin carcass and bottom drawers, gloss upper drawers. A fabulous family of storage units from B&B Italia using Gloss and Satin Lacquers to great effect. The Dado family is a series of large to small chest of drawers for use in the bedroom, office or living spaces where colour coordination/contrasts can be played with to great effect. Another noteable design point is how the carcass stands a little proud from the drawers, softening the overall depth of the piece you choose. Enjoy the quality expected from B&B Italia with elegant finishes and smooth gliding drawers. 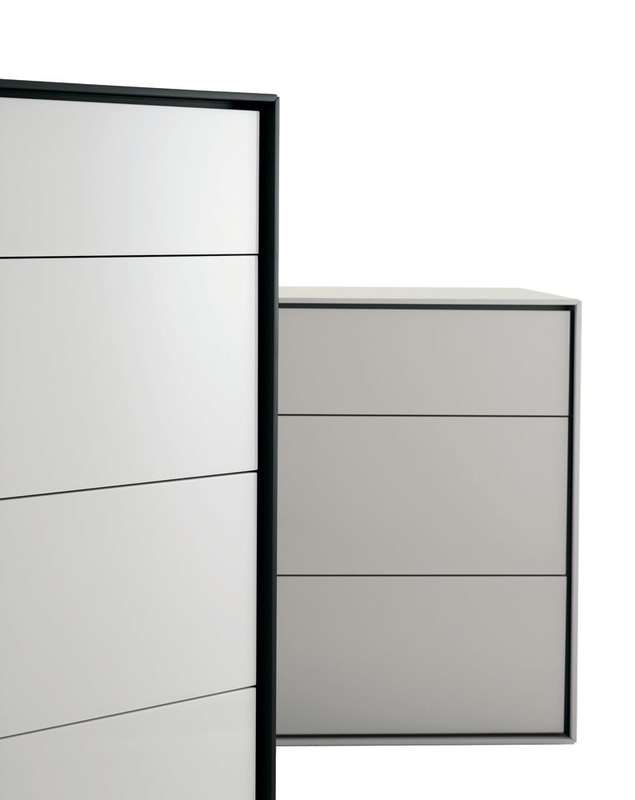 The frame/carcass is always in satin lacquer, however you can choose how you finish the drawers - gloss or satin lacquer? To discuss sizes, finishes and colour combinations please do not hesiate to contact us by email at purves@purves.co.uk or call 020 3397 3723. * There are many options in this range - please download the Dado size specifications pdf to select one to suit your needs. Finishes: Gloss or Matt lacquers - returnable samples are available on request or you can download the Dado lacquer finishes pdf. * Either choose the same finish though out or discuss the designers idea of having the top drawer in a contasting finish, gloss or matt.